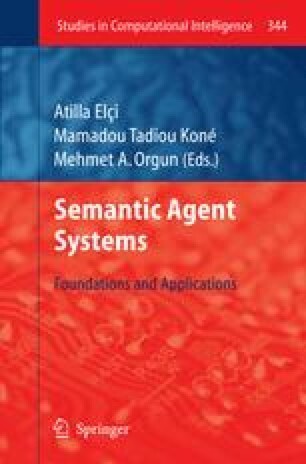 Within this chapter, an agent-oriented middleware created to support the delivery of context-aware mLearning services provision is presented. This middleware architecture, based on the concept of InfoStations and developed within a University campus domain, is described in detail. Concepts for the control and management of service sessions and communications scenarios are also presented. The multi-agent approach adopted for the implementation of this system and indeed the system entity interactions involved in service delivery are discussed. The harvesting and utilisation of semantic information in order to facilitate the contextualisation and personalisation of mLearning services is also detailed.